Have you just bought a gun or a lot of guns? Are you frantically and excitedly looking for some instructions on how to use and care for your very first gun? Are you an advanced gun user? Do you want a manual that has the needed information on how to utilize from simple to highly sophisticated guns in your hunting games? Let me tell you, this is the right place, because I am going to show you a detailed list of best reloading manuals. Reloading manuals are very popular among gun users. They are basically books that discuss the art of reloading. There are various kinds of reloading manuals ranging from basic to advance. You may wonder what is the purpose of reloading manuals while the Internet has been there as a bliss. 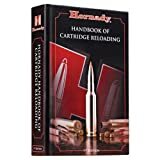 However, you still need a reloading manual, because it contains detailed information about the art of reloading, which you can rarely find on the Internet. Now let’s discover the best manuals that I have gathered here! It’s especially apt to novices or refreshers of reloading ammunition. It was written by Steven Gregersen, who has been living by hunting and fishing for his childhood. This somehow makes him an expertise in reloading ammunitions. Written in an easy style to read and understand. Very useful for novices, as the book provides in-depth information and recommendation about good loading materials and equipment as well as basic reloading skills. Focuses on safe and efficient reloading process. This book does not provide load recipes, but Gregersen explains a lot about how they work and the importance of following correctly those manuals. 150 pages may seem not enough for some gunners. Lyman has been around for more than a century, providing from basic to advance knowledge of reloading art for gun users. Their books cover a wide range of powder and bullets with unbiased information. This book is perfect for beginners as it supplies a good base of the reloading field. In this edition, the book implements some information on lesser known pistol calibers, latest bullets and materials. Besides, it represents initially popular products of famous gun brands. The book also helps its users with more precise, and more importantly, safer reloading methods. The manual is also laid out well, and very easy to use. The book is viewed by some users as a little outdated. Some newly produced materials have been reported to be not covered or mentioned in the book. Furthermore, while the book has hundreds of material types, it does not provide much in-depth information. Sierra has been a time-honored gun company. Their reloading manuals are compiled based on their products. This 5th edition is considered one of their best manuals ever published. In the 5th edition, the book has been updated with new cartridges, bullets, powders, and equipment. Reloading tools, processes, ammunition terms, bore cares, and firearm cleaning are also included in this new edition. Some customers have reported that the 3 ring binder format does not act well. The book is sometimes inappropriate for who does not have a Sierra gun. Some calibers are only suitable with some particular Sierra bullets. The book gives explanations about internal, external, and terminal ballistics, comprehension reloading chart. In addition, it also talks about basics of reloading including step-by-step instructions, reloading and bullet accuracy and special tips and techniques. Up-to-date guide and information about almost every cartridge existing in the market. The book provides quite in-depth knowledge of bullets and calibers. It has the product numbers, thus making it easy to go out and buy what you want. Some customers have complained about the difficulty in reading the book that they have suffered. The first part of the book is a bit disjointed. The book is not for beginners, as it does not provide detailed basic information about guns. Hey! Have you finished reading it? Have you decided which manual to buy? Once again, I advise you to use the first one or the second one on the list if you are a newbie. The third and fourth one are for those who are more experienced in the reloading field. Mastering reloading skills is very important for gun users. Therefore, for safety and efficiency, you have to choose the best reloading manuals in the market. Those books that I have mentioned have been proved to be very useful, so you can totally rely on them. Finally, hope you have an enjoyable time playing with guns.